There have been publicized cases of harmful effects from prolonged exposure to formaldehyde and some agencies classify it as a “probable carcinogen.” Reducing overall formaldehyde exposure is one way companies can meet environmental and health performance goals. In this post we'll further explore the nature of risk associated with formaldehyde in workplace materials. 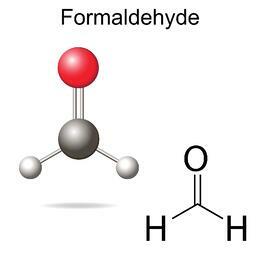 Formaldehyde (CH2O) is one of approximately 1,000 different chemicals classified as a volatile organic compound, or VOC. “Volatile” means it is a rapidly evaporating substance and “organic” means it is carbon-based. Formaldehyde, in its most basic form, is a colorless, odorful and flammable compound consisting of hydrogen, oxygen, and carbon. Naturally occurring formaldehyde is a by-product of the normal metabolic processes of living organisms. 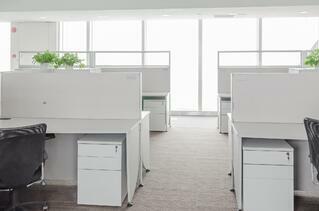 Trace amounts of VOCs are found throughout natural and man-made environments. It is prevalent in wood and plant material, and is generated by motor vehicle exhaust and cigarette smoke. Naturally occurring VOCs produce the blue haze that characterizes the Blue Ridge Mountains in Appalachia and the pungent odor that results from slicing an onion or peeling oranges. Every day we encounter varying concentrations of formaldehyde. Formaldehyde was first synthesize in a laboratory environment in 1859. The durable bonding properties of this chemical compound prompted its use in industry. The compound’s widespread availability in nature and reactive, gaseous qualities render it useful across various applications. Its unique ability to cross-link with other ingredients to produce a durable, cost-effective bond is ideal for use in industrial strength adhesives.Three main formulations of formaldehyde resin are urea, melamine, and phenol. These formulas are used as binding ingredients in common building materials like composite wood products, plastics, coatings, and insulations. To meet industrial demand, formaldehyde is produced by the dehydrogenation or oxidation of methanol. There is no doubt that formaldehyde exposure, at elevated levels, is harmful. This fact became part of the greater public consciousness in 2004 following Hurricane Katrina when displaced residents were placed into newly constructed trailers and suffered a variety of health issues including watering eyes, coughing, and headaches. These symptoms were confirmed the result of high level formaldehyde exposure. The FEMA trailers project in Louisiana brought to light key, compounded factors that contribute to formaldehyde related sickness: poor quality composite wood products, confined space, poor ventilation, dramatic temperature changes, and lack of time for natural off-gassing. Elevated formaldehyde is most likely to occur in attics, crawl spaces, manufactured homes or RVs in the short term after construction is completed or where ventilation is poor. The emergency need for housing and rapid move-in schedule after Hurricane Katrina created an unusual situation for the FEMA trailer residents; one that does not typically exist during a normal renovation or building cycle. These situations are even less likely to occur in the workplace where materials and building ventilation is higher quality and more closely regulated. The World Health Organization has set a threshold for formaldehyde exposure among the general public at 0.08 parts per million per 30 minute period. This is more than double the levels encountered in urban outdoor air, such as when crossing a busy city sidewalk. The acceptable threshold is ten times below the high dose exposures linked to long term health risk. The State of California’s Air Resources Board (CARB) has responded to the emissions risks of composite wood products by introducing more stringent limits on the formaldehyde content of particleboard, medium-density fiberboard, and hardwood plywood panels. Under CARB Phase II (effective January 2011) formaldehyde emissions are limited to 0.09 ppm from raw particleboard and 0.11 ppm from medium density fiberboard. While these are both just above the WHO’s recommended threshold for exposure, formaldehyde’s short half life (1.6 to 19 hours) means that emissions decay rapidly in the days following manufacture. Because of this, CARB limits effectively “cap” emissions, ensuring that raw materials emit at sufficiently lower levels than their initial measurement by the time they are received by end users. Emissions from raw materials will be greater than any finished good. 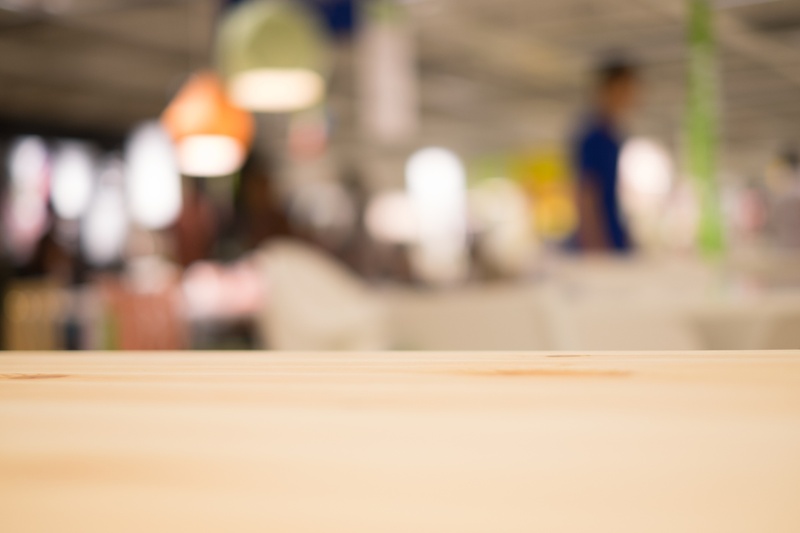 The application of edges and surface laminates to furniture products seal in residual formaldehyde and prevent off-gassing under changing conditions. In third party testing even ‘worst-case’ Watson products yield a measure of formaldehyde well below the industry standard set forth by BIFMA (0.05 ppm) – a level safely within the range of normal indoor conditions. Further, as part of our commitment to workplace wellness and Practical Environmentalism ethos, Watson recently announced that beginning in August 2016 all wood products will convert to new NAF core material. Formaldehyde occurs naturally in the environments and poses little risk in workplace environments when high quality products are sourced. Formaldehyde is widely considered a probable carcinogen and companies wisely err on the side of safety to source the highest quality furniture and materials in order to minimize exposure for new office environments and re-fits.